Leeds Castle, Canterbury, Dover & Greenwich. Includes private viewing of Leeds Castle. 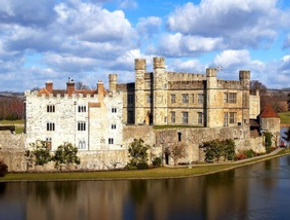 Leeds Castle, Canterbury, Dover & Greenwich - includes private viewing of Leeds Castle. Home Out of London Leeds Castle, Canterbury, Dover & Greenwich - includes private viewing of Leeds Castle. Described as the "loveliest castle in the world", Leeds Castle was once a Royal residence for six of Englands medieval queens, a palace of Henry VIII, and a retreat for the rich and powerful. The setting is simply idyllic. The Norman castle was built on two small islands, in the middle of a lake, and is surrounded by a vast estate. Our day begins with a private viewing prior to the castle opening to the public. We will explore the chapel, galleries, courtyards and banqueting hall before taking time to enjoy the setting and wildlife, which includes wildfowl and black swans. 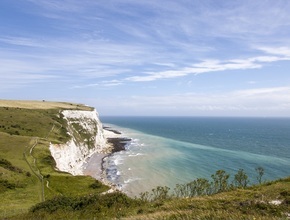 You've heard of the famous white cliffs of Dover? This is your chance to see them. On a clear day you can even see France. Dover itself is an historic port with a magnificent 12th century castle. 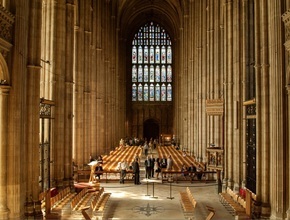 Next visit Canterbury with entrance to Canterbury Cathedral included. 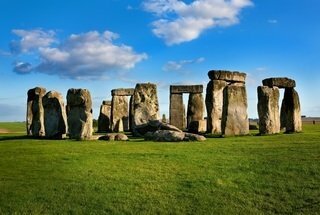 The ancient city of Canterbury has been the centre of Christian worship for almost 1,700 years. Its greatest treasure is the cathedral, infamous as the setting for the brutal murder of Thomas Beckett in 1170. When Henry II snapped "Who will rid me of this turbulent priest? ", four of his knights rode to the Cathedral and sliced Beckett's head off. Canterbury became the centre of one of the most important medieval pilgrimages in Europe, immortalised by Geoffrey Chaucer in The Canterbury Tales. Packed with exquisite parks, gardens, and architecture, Greenwich has strong connections with the sea, science, sovereigns and time. We will have time to take a look at the Cutty Sark, the fastest sailing ship of its time. As the early evening we gently cruise back to the centre of London. We will pass by historic sights such as the Tower of London, Big Ben and the Houses of Parliament, before arriving at Embankment pier where our tour ends. This tour will finish at Embankment Pier at 7pm.